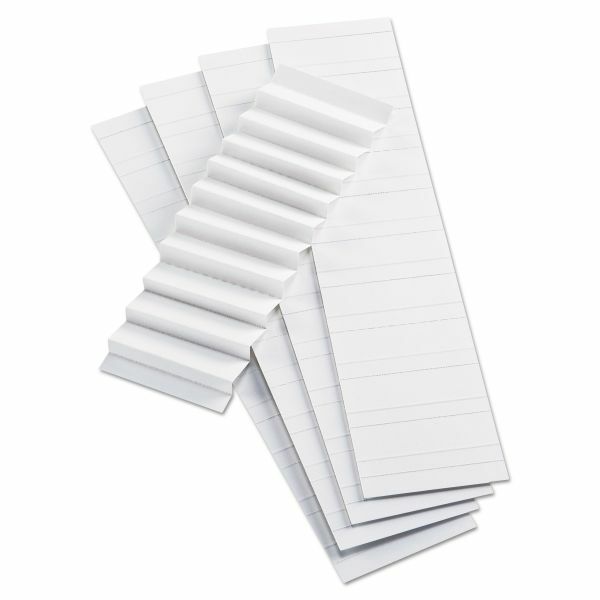 Perforated and scored sheets tear and fold into strips of ten. Blank for up to three lines of type. Note: A minimum quantity of 240 must be ordered, and in units of 30 thereafter. Pendaflex Blank Inserts for 42 Series Hanging File Folders, 1/5 Tab, 2", White, 100/Pack - White File Folder Tab Inserts easily slide into standard width hanging folder plastic tabs. Spaced to fit up to three lines of typewriter type. 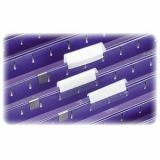 In perforated strips, 10 to a strip. Blank, 1/5-cut tab.